Memorial service will be held at 11:00AM on Saturday April 13, 2019 at the Eastview Community Church, Winnipeg. No public viewing. Private family interment prior at the Manitou Cemetery. 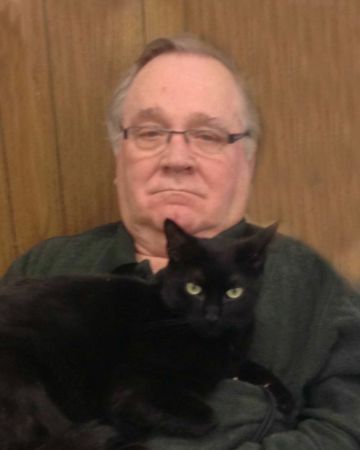 John Herman Penner of West St Paul, MB, aged 78, passed away after a brief illness at St Boniface General Hospital on Sunday, April 7th, 2019. Son of Jacob John Penner and Elizabeth Henrietta Penner (nee Baumgart), John, along with his twin sister Marie was born December 30th, 1940 in Manitou General Hospital. The family lived in the Kaleida, MB area on the farm at that time. John married his sweetheart, Shirley Marie Wiebe on June 26th, 1970. 3 sons were born to them in the first 6 years of their marriage..Matthew John in 1971, Stephen Daniel in 1973, and Jeremy David in 1976. John and several of his siblings went to high school in Winkler, MB, he attended a year of Bible school in Steinbach, MB, and in the late 1960’s John attended United College (later known as the University of Winnipeg)to take evening classes in Theology. Here he met the man who would lead him to a saving knowledge of Jesus Christ..a Messianic Jewish Rabbi! John was always a hard worker, but he finally found his niche when he became a salesman. He passed the bulk of his working life as a businessman and landlord, finally retiring at age 77. In retirement, chronic back pain became his constant companion. We thank God for the quick release that allowed him to escape more suffering. my heartfelt condlences to you Shirley and all your family . May the Lord be with you through this difficult time.